A new caste calculus in Uttar Pradesh has handed one of the most embarrassing defeats to BJP and its poster boy Chief Minister Yogi Adityanth in his own backyard. 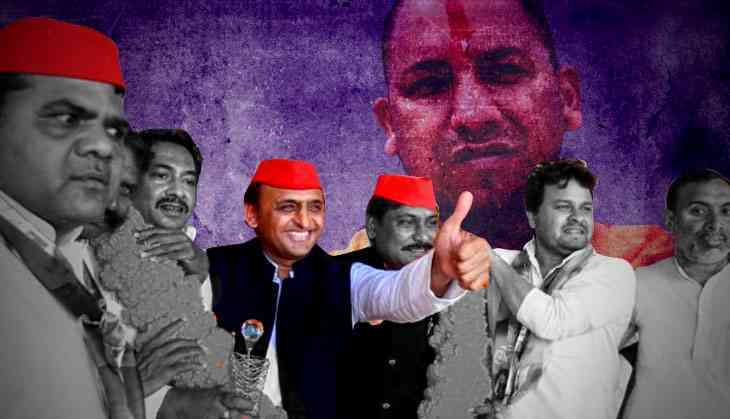 One-year-old Adityanath government suffered a major setback after SP-BSP combine won by-polls for the two Lok Sabha seats in Gorakhpur and Phulpur which fell vacant after the chief minister and his deputy Keshav Prasad Maurya resigned to take over responsibilities in the state government. The twin victories have come as a major embarrassment for Adityanath who has just finished one year in office and had represented Gorakhpur for five consecutive terms. The twin victories are likely to have far-reaching consequences considering it could see arch rivals SP and BSP joining hands during the 2019 General Elections to defeat the common enemy – BJP. after the dates for the by-polls were announced, BJP leaders were brimming with confidence on winning the two seats with considerable ease. However, their confidence came crashing down once BSP decided to lend its weight behind SP just few days before the polls. crucial to Prime Minister Narendra Modi's emphatic win in 2014 where his party and its ally managed to win 73 out of the 80 seats on offer. However, the truce was not easy to come by and it took hectic parleys from the leaders of the two parties to come to an understanding and cobble up a winning formula. In fact, the bitter relations between the two parties started to thaw during the Budget Session of the UP Assembly in February when the two joined hands on multiple occasions to take on the Adityanath government over its handling of law and order and the spate of alleged fake encounters. another and eventually BSP decided to support our candidates for the by-polls,” said MLC Udaiveer Singh, who is particularly close to Akhilesh Yadav. far more organised and began working towards adopting a strategy to defeat BJP,” he added. This strenuous process of consultations with local leaders led to SP zeroing down on candidates of certain caste groups who could tilt the balance in their favour. During his conversations with local leaders, he found that even BSP cadres too had a soft spot for SP. Does this also meant wiping out of the Congress from the state as well? of SP and they should have realised where they stand,” he pointed. According to him, these elections have exposed BJP's doublespeak, particularly on Muslims. He claimed that it was the saffron party that prodded don Atiq Ahmad to contest as an independent from Phulpur to cut into SP's vote share.